Home > Ask Our Experts > How Can I Avoid Losing Contact With My Daughter? Please could you point me in the right direction. My ex-partner has stopped any form of contact with my 9-year-old daughter because I have gone through the CSA for maintenance. I was currently paying £200 per month but found the money was not being spent on my daughter. The CSA have informed me that I should be paying £7.00 per week. I have offered £25 but been told by my ex that unless its £50 then don't bother. That was 2 weeks ago. We had agreed contact through a solicitor. She will not even allow contact on the phone. And sent me a text saying see you in court. There are two separate issues involved here, both custody and maintenance, and together they mean you’ve been denied access to your daughter, which is a distressing situation. You don’t state how the original maintenance figure of £200 a month was reached, but since contact had been arranged through a solicitor, maintenance might have been arranged the same way. However, if the CSA told you that you only have to pay £7 a week, it would indicate you’re making less than £200 per week – the CSA says that on incomes of that level, you pay £5 per week on the first £100 and a percentage of the second £100, which they view as a reasonable amount of your income. What you need to do is send your ex a registered letter asking her to reinstate contact and state that you’ll have to take legal action if she doesn’t comply. By the sound of it, this won’t do the trick, but it’s a necessary legal step. After that, you need to go to court and apply for an Interim Contact Order at a Directions Hearing, which allows you contact until a full hearing on the matter. You’ll obviously need to produce evidence from the CSA regarding maintenance at the hearing, and your solicitor will have to remind the court that the full hearing would probably be more than six months away, and a lack of contact would be detrimental to your daughter. The bad news is that your ex might demand supervised contact – but it’s better than none at all. However, if you had prior contact with your daughter, especially “staying contact” (meaning she stayed overnight with you), make sure the court is aware of that, and the circumstances in which everything changed. If previous contact arrangements had been made through the solicitor, you could ask for the enforcing of contact arrangements. Prior to the hearing, inform the court and opposing solicitor that you’ll ask for interim contact and be introducing oral evidence. That’s in the short term. Before the final hearing Cafcass officials will interview you, your ex and your daughter regarding contact and custody, and you should produce evidence from the CSA about Recommended Maintenance, as well as a record of payments. If your ex continues to deny access laid down by the court, she could end up being sentenced to community service. Hi there, I'm looking for some advice for my partner.He seperated from he's children's mother a year ago but She was harassing us both until yesterday when the police had given her a harassment order.In this time she has denied him access to he's children, he has parental rights as he is on the birth certificate for both children, but She still refuses access and has blocked all contact with them. She isn't in the right state of mind as she's often threatened us both and to harm her Self with the children at home. Her only concern is that my partner is not willing to go back to her. She hasnt been complying with social services if it isnt what she wants. She has been using the children as weapons to get to him. She's booked a holiday for the children abroad aswell without he's permission. He has told her in writing she is not allowed to take them out of the country as he is worried for the welfare of he's children.Please help us, how do we stop her from taking the children out of the country without he's permission, how can he get access to he's children? Please see the link here with regards to the process of seeing his children where his ex refuses. Your partner's ex would need to gain permission from your partner to take his child out of the country, please see link here. If he thinks his ex may try to take them from the country without his consent, he can apply for a Prohibited Steps Order through the courts. A PSO is an order granted by the court in family cases which prevents either parent from carrying out certain events or making specific trips with their children without the express permission of the other parent. This is more common in cases where there is suspicion that one parent may leave the area with their children. I hope this helps. Hi there, I'm looking for some advice for my partner. He seperated from he's children's mother a year ago but She was harassing us both until yesterday when the police had given her a harassment order. In this time she has denied him access to he's children, he has parental rights as he is on the birth certificate for both children, but She still refuses access and has blocked all contact with them. She isn't in the right state of mind as she's often threatened us both and to harm her Self with the children at home. Her only concern is that my partner is not willing to go back to her. She hasnt been complying with social services if it isnt what she wants. She has been using the children as weapons to get to him. She's booked a holiday for the children abroad aswell without he's permission. He has told her in writing she is not allowed to take them out of the country as he is worried for the welfare of he's children. Please help us, how do we stop her from taking the children out of the country without he's permission, how can he get access to he's children? If you have offered mediation as a solution and your ex refuses then the option would be open for you to apply to court. As in all cases, the court’s main concern is the welfare of the child in question. The court will always put the child’s best interests first and this main issue will determine the outcome of any application for an order. Hi my ex has suprevised contact with my children due to them making allegations of abuse they are due to stop having it supervised soon but I am worried about this as I am not happy to let them be unsupervised with him at any time ever again will I have to fight to demand this in court? I am also concerned he will want to take them to his parents whouse I allow to see the kids at my house because their response to the abuse allegations was to threaten to not see the kids again basically dismissed what they alleged and not supported them at all just told anyone and everyone who would listen my kids were liars even though my ex admitted some of the allegations I'm not one to deliberately damage a child/father relationship but I'm also the first to protect my kids and not place them in danger I don't want repercussions for them from the dad and I fear they will get them if left alone with him help! If the court order specifies you have to give the father unsupervised visits, then you would have to stick to the court order otherwise you will be in breach. This means your ex would be able to take the matter back to court to have the order enforced. Likewise, every contact order comes with a warning outlined by the court in terms of any breach. Your only recourse is apply back to court for a variation of the order to try to prevent unsupervised access. However, you would have to give good reason for doing this and be able to show that circumstances have changed from the last time you were in court and prove new reasons why your ex should not have unsupervised visits. My daughter desperately needs advice.her ex boyfriend left her for another woman literally dropping her off on a pavement penniless and homeless whilst she was 6 months pregnant.she had the baby but never put the father on the birth certificate.she has allowed him to see the child twice a week and he is now making all sorts of demands on her saying he wants her over night etc he is saying or rather demanding sh put his name on the birth certificate.does she have to ?? No, your daughter does not have to put the father's name on the birth certificate. Currently the father has no rights and cannot make demands upon your daughter. If the father wants further rights such as Parental Responsibility, he would have to apply to take the matter to court. My daughter desperately needs advice .her ex boyfriend left her for another woman literally dropping her off on a pavement penniless and homeless whilst she was 6 months pregnant .she had the baby but never put the father on the birth certificate .she has allowed him to see the child twice a week and he is now making all sorts of demands on her saying he wants her over night etc he is saying or rather demanding sh put his name on the birth certificate .does she have to ?? hello I am looking for advice for my son, my son and his ex split up when she was 7mths pregnant they continued to share a bank account and he gave her money for the baby before his son was born, my son is currently a serving soldier in the army and lives away from home and wasn't informed when his ex went into labour although he had been contacting her on a weekly basis to see how she had been doing. Any way my son went to the hospital after he was told about the birth and saw his son as often as his ex allowed. He repeated asked her when his son was going to get registered so he could be there but she just said it would be after the Christmas period but he has just found out she has registered him already and left the father blank my son is devastated he has contacted her everyday for access but she has just given excuses why he cant see him and now she has blocked all contact from him, what he needs to know is can he apply to the court to prove he is the babies father and once that's established can he then apply for access to his son ? All he wants is to see and maintain his son he has done nothing wrong it wasn't even a bad split from his ex.... any advice would be greatly appreciated. I have court in 3 days and received my ex's parental questionnaire in the post today , the first 4 box's on the first page of the questionnaire was filled out by my ex but the rest of the form was filled out from recognizing the writing of my 15 yr old daughter.My ex has signed and dated it themselves and nowhere does it state on the form that its not being completed by my ex..... its a legal form i didn't think it would be allowed to be filled out by my 15 yr old daughter . Do i inform the court about this , as my ex has been emotionally brainwashing my daughter against me and even brought her to court and made her wait outside and bring coffee to them whilst we waited to go into court. Any help would be appreciated. HiI have a daughter age 13 who wants to see me we have contact via phone and text.She doesn't want to ask mum to see me because of fear of upset and anger that she wants contact. But we have had secret meetings. My question is Is this ok in the eyes of the law.I'm sure it will come out at some point.hopefully only when a financial settlement has been reached. As always it really it is best to make sure the resident parent is aware of what is happening with your/their child, and that any meetings are above board, as this could give her ammunition should the matter at any point be legally disputed. However, there is nothing to say you cannot legally meet up with your child, unless there is a court order in place that prevents you from doing so. I suggest you seek legal advice here in order to explore your options. Hi I have a daughter age 13 who wants to see me we have contact via phone and text . She doesn't want to ask mum to see me because of fear of upset and anger that she wants contact. But we have had secret meetings. My question is Is this ok in the eyes of the law. I'm sure it will come out at some point.hopefully only when a financial settlement has been reached. . Simple question please: I'm separated, pay 3k/mo child support, have joint custody. Have three kids: 12, 14, 17.They now live with mom in ireland. Kids were born and raised in Germany where I live. For two years I saw my kids regularly-with no issue-now I have a new g/f and my kids "refuse" to see me.With joint custody and maintenance established, do the children have a "right" NOT to see me.Or if there is an age at which they can choose not to see me.Many thanks. Hi, any advice here would be very much appreciated and thank you in advance. I currently have two children with one partner who are just under 4 and 5 weeks. I have always paid child maintenance since the split using the government calculator to work out the payment. My partner has moved 17 miles away but see my children 2-3 times every week depending on my shifts. Due to the distance everything has become expensive as going for days out and meals there is adding up to £200 a month. Don't get me wrong I don't mind paying this to treat my children at all. I was paying £400 a month child maintenance but due to the current climate in industry my wages have dropped to gross £2299.97 a month. My partner won't allow sleep overs with no reason other than she doesn't want to be without the kids. With school commitments starting in September I'm going to be doing all the childcare duties on my rest days (up to 3 per week but 2 on average). This will be from 7am until 17:30 and will be school runs. Due to all these expenses will I still have to pay the full childcare maintenance or may I get it slightly reduced as I'll be enduring all the costs but will have zero reductions due to sleepover restrictions especially now with school commitments and distance? It does seem a little unfair as I'm currently paying 1/3 of my entire wages when taking the money I spend on them for food and days out etc into account too. My partner and I are currently amicable but wanted to get advice prior to amending payment amounts as it will cause friction so wanted to ensure everything was fair and right prior to commencing. Thank you so much for any advice and is very much appreciated. Regards Pete. I am currently in a Rocky patch in my relationship with my fiancé. We have a 5 month old daughter who I can't live without. My fiancé wants to move to the town we grew up in and I was up for it but needed time. My fiancé has now decided that she isn't happy and is leaving me and taking our daughter. I don't want any of this to happen but I feel helpless and don't want to annoy my fiancé/ex at all incase she makes life difficult. I will jump through hoops to be an active part of my daughters life but I don't know any of the formalities or rights that I have.Please help. I am very sorry to hear this. Your best option is to stay on amicable terms with your ex and decide between you what the level of care each of you will have with your child. 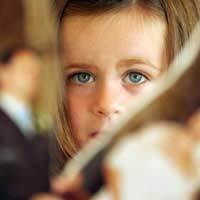 However, relationships don't always end amicably, in which case you may have to resort to Mediation in order to sort the matter out and as a last resort, court.I suggest you read as much around the subject as you can such as: Relationships With Your Ex-Partner, here and How to Improve Relations With Your Child's Mother, here. I hope these help. I am currently in a Rocky patch in my relationship with my fiancé. We have a 5 month old daughter who I can't live without. My fiancé wants to move to the town we grew up in and I was up for it but needed time. My fiancé has now decided that she isn't happy and is leaving me and taking our daughter. I don't want any of this to happen but I feel helpless and don't want to annoy my fiancé/ex at all incase she makes life difficult. I will jump through hoops to be an active part of my daughters life but I don't know any of the formalities or rights that I have. Please help. Hi. I have a daughter thats 3,5 yesrs old and living with her mun I England, Im from sweden and I have never lived in England my self. I have always keept contact with my daughter and she knows im her dad. Althu, her mun is not Making it easy for me to se her, im trying my best to fly over as often as possible,. Everytime is a strugle and its so hard not knowing my rights. Last week when I ask "mum" when it would be best for her that I visit she started saying that me coming over was not a good idea and the my daughter just gets cumfused, thats she's happy with her and her boyfriend. Can she do this? What rights do I have to see my daughter? She's constently thretening me and saying "feel free to see this futher, we bout know who will winn" :/ and im not asking for much, all I want to talk to my daughter and to see her when im abel to visit. Can she cut me out of my daughters life like that? Is that her decition to make? Please help. I am sorry to hear this. I can only advise that you take some legal advice from an international family law solicitor who will be able to advise you of your rights and help you apply for a contact order legally through the courts. Once this is set up then she will be legally bound to this. Hi. I have a daughter thats 3,5 yesrs old and living with her mun i England, Im from sweden and I have never lived in England my self. I have always keept contact with my daughter and she knows im her dad. Althu, her mun is not Making it easy for me to se her, im trying my best to fly over as often as possible,.. Everytime is a strugle and its so hard not knowing my rights. Last week when i ask "mum" when it would be best for her that i visit she started saying that me coming over was not a good idea and the my daughter just gets cumfused, thats she's happy with her and her boyfriend.. Can she do this? What rights do i have to see my daughter? She's constently thretening me and saying "feel free to see this futher, we bout know who will winn" :/ and im not asking for much, all i want to talk to my daughter and to see her when im abel to visit. Can she cut me out of my daughters life like that? Is that her decition to make? Please help. I have an eight year old daughter in Bolton, England but I'm staying in Africa. I left Bolton when my ex-girlfriend was pregnant due to expiry of my Visa. When I got to Africa I got a good job of my career while in The UK I worked in just any job to make ends meet (14 Hours a day). Now, unfortunately due to the fact that I aint going back to Bolton my ex-girlfriend and her mother are denying me access to my daughter. I've tried many ways to keep in touch but in vain. I tried to offer financial support but in vain. At the mean time I've been blocked out of all social media with the mother and her mother and also they've changed their phone numbers. I'm desperate, I need help, I dont wanna lose my daughter. I left my boyfriend of 2 and half years because of financial and emotional abuse. I have a daughter that I let him see for a couple of hrs 3x a week When we were living together he had nothing to do with her and now that we are separated he want her to sleep over at his once a week. The other day he took her for a couple of hrs and she came back looking distress and ill, ended up at a&e with her and when I asked him what happened he said she was fine but the minute I saw her I knew she isnt right. Im afraid she s too young for sleepovers and worried that what if she is unwell and he doesnt notice. Am I bring too overprotective here? My Ex wife and I divorced over 5 years ago, we were married when my daughter was born. I have always paid maintenance and continued to visit my daughter (8 year old) on my ex's terms usually one weekend a month, it can be difficult as we live 300 miles apart and I would not expect my daughter to stay with me due to work commitments. However she continues to supervise contact herself, between my daughter and myself. I can honestly say she has no grounds for doing this, other than holding some sort over control over me. The contact agreement was set up privately so it would be more amicable. I now believe this is not the case, quite frankly I find it vindictive. I only want what is best for my little girl. All I have is there address and home telephone number of which constantly rings no answer!. I travel 600 miles a month to visit my daughter, in the past I have slept in a tent to accommodate myself due to not being able to afford staying in a hotel. When I visit she demands to meet in a public place, then i'm allowed contact with my child (supervised) by her. The only order in place is a residence order. I'm just concerned whether to apply for a contact order through the courts. I don’t know what to do, as I feel we get no personal time together it’s like I’m a complete stranger. @confused - I'm a little confused too. If the test had come back negative then I can't quite understand why he would be threatening to take your daughter? Firstly, have you seen this DNA test he claims to have had? If he is not on the birth certificate then he has no rights over your child, so you don't have to worry about him taking her from you. However, if he is really adamant that the DNA test claims he is not the father then he would have to take it to court and let the court try to ascertain the parentage of your child. I hope this helps. @matty - I think I would approach the school and get a letter of confirmation that she is not attending and how long she hasn't attended for and then forward it to the CSA, who can deal with it directly. My daughter is 17, and I was informed still at school in education. For the last two years I've seen her on only a couple of occasions which were strained, and clearly she appears, at best, not to like me. My ex has been poisoning her mind against me since she was small, but only started to get the desired results in her teenage years. Her new teenage dislike of me, has delighted my ex, who has reapplied to the CSA for more money due to the changed circumstances of her no longer staying with me at weekends. As part of the reasssment I contacted the school to find out exactly what she is studying, to find out she has not attended school in months. My questions are, if she's not going to school, is she in education? If not, should I be paying for a 17 year old? Should the authorities also be treating this as a possible fraud by the mother? Any advice would be appreciatiated. @mikey - I shall direct you to some helpful sites, firstly, When Your Ex-Partner Denies You Access, link herewhich will explain the process and the forms you may need. You address the letter to your ex requesting access. Secondly Legal Aid Withdrawal: How to Represent Yourself, link here. Many men are now becoming self-litigants with success, so please don't feel fearful in taking this initiative yourself. We also we have a Separated Dads Facebook page which gives lots of helpful information and advice along with support frmo dads who are either going through or have been through similar issues as yourself. If you scroll back before Xmas, you will find some very helful advice from followers on a posting from someone who wanted to represent themselves in court in order to gain contact. I hope this helps. Hi, I need to write a letter to request access to my boys, I can't afford a solicitor, can anyone give me any advice ??? Do I write to her solicitor or her ??? Any advicePlease ???? @kev - firstly I have included a link to the Child Maintenance Calculator in order that you can double check yourself exactly how much you should owe link here. Of course you can take it back to court. I have included the link for When Your Ex-Partner Denies You Access here which should guide you through the process. I ahve also included a link to Representing Yourself in Court link herewhich should you need gives you an alternative to employing solicitor as it can get costly. There is no reason why you shouldn't have contact with your children. We also have a Separated Dads Facebook page where our followers give supporting advice which may help too. Good luck. Hi, I'm really in need of some sound advice. I have been divorced now for 2 years. At the point of separation i had regular contact with my 3 children. Within 6 months of separation the contact dwindled significantly to nothing. I have tried many times to see them but my ex wife is very bitter and does her very best to stop me having any contact. I realize that i should have maybe gone back to court to re-establish contact legally with them but i couldn't bear the thought of upsetting the children more than they already had been. The ex wife has blocked me from contacting them via Facebook or Twitter. It has been 2.5 years since i have seen my children now. During this time i have never missed a child support payment, the payment of £477.76 monthly was agreed through the court during the divorce. the figure was calculated by the CSA. I have since remarried and have a step daughter. The questions i would like to ask are: What right have i got as a father to see my children? Because my circumstances have changed how do i alter my child support payment? The CSA have told me the new figure should £434 per month. Please help Kev.